Right now, there is a lot of talk about the concerning state of supply chains - in particular, the overwhelming amount of security risks and disruptions they face. And this is with good reason. Across the globe, organizations in every industry, at every level, are dealing with new, unprecedented threats. As the Internet of Things, cloud and other technological advancements continue to sweep through businesses, transforming processes and operations at every level, it is creating an environment of extreme vulnerability. The threat landscape is intensifying and organizations that don't adapt to this changing atmosphere become significantly more susceptible to suffering a disruption. Failing to heed safety and security standards, as well as being proactive in ensuring the best practices for data protection are implemented, makes it much more likely that supply chain managers will have to pay the price for it. This "price" can come in many forms - whether it be a loss of financial data from cybercriminals, production delays due to system failures or profit loss from something like cargo theft. Companies must apply all the safeguards they possibly can. The problem is that supply chain leaders may hear again and again that they are at risk - but it likely won't hold any real weight, or motivate them to act on mitigating those risks, unless they actually understand how easily they can be affected by it and how dire the consequences can be if and when this occurs. There have been many stories over the past year or so about how a company has fallen into hot water due to something one of its suppliers did (or didn't) do. Take Samsung, for example: The smartphone manufacturer had to discontinue production of one of its biggest series of devices because it wasn't able to adequately pinpoint, let alone correct, the source of a hardware error. Even if an issue can be attributed to a supplier in a very distant tier of the supply chain, ultimately, it doesn't matter. With vendor relationships today, there is a domino effect. Essentially, the behavior, practices and policies of one party influence, to some degree or another, those of the partners it is connected to. This should be a concern for supply chain managers today more than ever. Why? As more high-profile cases of data breaches make headlines, it is becoming increasingly obvious that there is no company too big or established for hackers to infiltrate. All it takes is attackers finding one security vulnerability in someone's critical infrastructure and they have access to vast amounts of sensitive data and information - and the power to impact organizations throughout that firm's network. As supply chains continue to digitalize, many are adopting new systems and technologies. Implementing and using unfamiliar processes and software leaves a lot of room for human error, which can create security loop holes and be a vector of attack for cybercriminals. We live in a highly connected world now and the reality is that everyone is at risk. On average, an organization's network is accessed by almost 90 third-party vendors. Seventy-five percent of companies have grown their supplier networks within the past 24 months. Less than 35 percent of businesses are aware of the number of log-ins their third-party suppliers have access to. Nearly 70 percent of organizations believe they did or might have have experienced a security incident within the past 12 months that could be attributed to a vendor. Obviously, it would be in supply chain managers' best interests to take a sounder, safer and more skeptical approach to supplier relationships. Vendors that a company has very close partnerships with can be a threat - without either party realizing it. There is a reason why cyberattacks seem to be occurring so frequently and on such massive scales: Hackers are becoming more advanced and sophisticated in their capabilities every day. Their techniques are maturing are accelerating faster - and more aggressively - than even the most trained and experienced IT security professionals can keep pace with. Not only are they getting more aggressive, but they are also getting stealthier. Malware can now penetrate a network and go undetected for months. 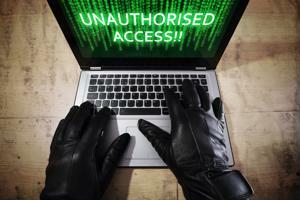 Too often, supply chain managers - and other business leaders - don't realize that they could be breached and not even know about it until the damage has already been done. This is a concern within itself, and certainly gives organizations plenty of reasons to ramp up their cybersecurity efforts. However, it is not just internal operations within their own companies that supply chain managers need to pay attention to. It's also those of third-party suppliers. One of the biggest mistakes businesses can make is assuming they aren't a target. Although a company may not be a massive organization or operate on a big scale, it can still prove useful to hackers. Cybercriminals can infiltrate one system and use that as a backdoor into other ones. With globalization and remote connectivity on the rise, supplier networks are getting bigger. Unfortunately, this means that they are also becoming more susceptible to attack. To build a stronger defense, enhance end-to-end supply chain security and mitigate the risks constantly presenting themselves to organizations, it is imperative that business leaders take a thorough and aggressive approach to cybersecurity. This means not only assessing and implementing security best practices for their own internal communications and operations, but for third-party vendors as well.